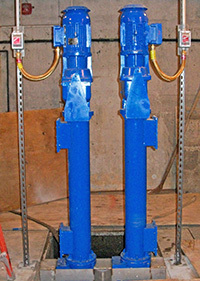 A pair of Moyno Series A Munchers have helped reduce maintenance intervals and improve capacity at a major waste water treatment plant in Massachusetts. 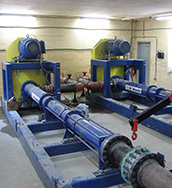 A single Moyno TR Muncher has been selected to do the work previously done by three grinder units which were struggling to deliver the required performance and maintenance levels at Rhode Island’s largest wastewater treatment facility. 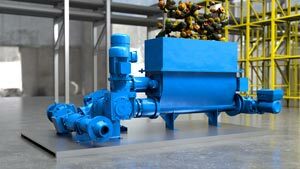 As featured in Pump & Systems: How a Canadian copper mine increased efficiency with progressing cavity pumps. Take a closer look at our Chopper Hopper™. Designed for dosing and metering applications. Designed for maximum performance, value and application versatility with minimal maintenance. 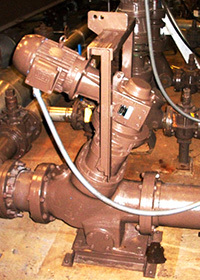 Maintain-in-place line of products providing cost savings solutions. Moyno can offer a range of packaged systems suitable for your application. Designed to meet FDA requirements in a variety of food and chemical applications.